Join a Business Leadership Cohort! 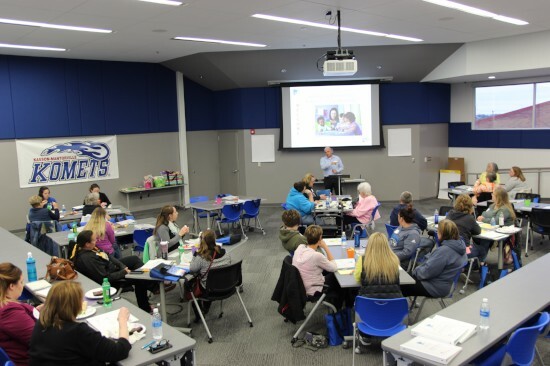 In partnership with the Southern Minnesota Initiative Foundation, First Children's Finance is bringing an exciting opportunity to child care professionals in Southern Minnesota. The Business Leadership Cohort Program provides you with 10 -15 hours of approved training on Develop - FREE, plus the ability to learn more about business and your business specifically! You probably didn't get into child care because you wanted to be a CEO. But you are one. Achieving your business goals means achieving your dreams, for you and your children and families. The First Children's Finance Business Leadership Cohort is here to help you turn those dreams into reality. The learning cohort will strengthen your business and help you plan for quality initiatives, business improvements, or even retirement! What is a Business Leadership Cohort? The First Children's Finance Child Care Business Leadership Cohorts offer centers and family providers a chance to connect with peers, receive free training and resources, and develop a customized business plan for your child care program. The cohorts meet four times over the course of the program and cohort meetings last about 2-3 hours each session. We provide one-on-one consultation and support to you in between cohort meetings. Through our Learn. Prepare. Act. approach, the cohorts focus on core aspects of the child care "business". Are you curious how your business performs compared to other similar sized child care businesses? As part of the Business Leadership Cohort, you will receive a free business consultation and analysis to help guide future business decisions and answer questions such as opportunities for capacity or program mix updates, tuition rate changes, and other business impact decisions. The Business Leadership Cohort program from First Children’s Finance provides family child care program leaders with the opportunity to learn about the basics of business related to their child care program. The program includes four group cohort sessions and two individual consultation meetings over several months. The first session includes an overview of the child care industry from a business vantage point and allows participants to delve into the world of enrollment management and how it impacts operations. In addition, participants examine the keys to developing an engaging message to support their marketing efforts. Understanding and managing finances of a child care operation is a critical aspect to long-term viability and sustainability. In this session, participants learn the basics of finance and apply new knowledge to managing scenarios and hands-on examination of financial statements. The individual business consultation provided as part of the Business Leadership Cohort program allows participants to examine their individual business and overall operations. As part of the consultation, First Children’s Finance and the participant discuss and review any potential opportunities or challenges related to the business. In session three, participants learn the power of business analysis by comparing their own business analysis report against First Children’s Finance data to see how their business compares to other family child care businesses. Participants also take part in a business roundtable discussion on wide ranging topics such as rate structure, contracts and policies, and having the tough conversations with families. One of the biggest barriers to success is not having a good plan in place. In the last session, participants pull together their learning from the previous sessions and apply it towards development of program goals and related action to meet those goals. Participants are provided a second consultation to follow up on their business analysis and program goals from session #4. Leadership Cohorts Forming Now for Fall 2017!